If you're wondering what your neighbors drank, head over to this week's Serious Grape column and follow the links to discover what was being popped and poured all over the country between the pre-turkey feasts (which involved a lot of pasta and beef, if I'm reading the statistics right), the turkey dinners, and the hours spent groaning in front of the TV afterwards. It looks like there was some good stuff on your dinner tables. Whoever was drinking the Caymus vertical, can I come over next year?? We had an excellent bottle of Mumm Napa Brut Prestige, and a 2005 Gerard Charvet Moulin-a-Vent from the Beaujolais. How about you? Share your Thanksgiving wine experiences below, or over in the comments on Serious Grape. We're socked in on the coast, with fog and rain. It's a glorious change from the warm temperatures that have hung around in Southern California. The fire is going, there's the smell of wood smoke in the air. It's perfect weather for a spicy Pinot Noir. The 2004 La Rochelle Pinot Noir from Monterey County was an excellent QPR find at just under $20. I purchased my bottle for $19.99 through WineQ, the online wine club with the Netflix-like system of queing up wines for automatic delivery. What first struck us was its beautiful, bright ruby color. Then were were aromas of cherry and spice that managed to retain their freshness (even though that combination should have reminded us of cherry pie). When sipped, it revealed flavors of cherry, pepper, and allspice with an extra kick of spice at the end. This wine was nicely made, with a good balance between the supple fruit and the acidity at the core. Pinot Noir and pork are excellent together. With this bottle we had some marinated and grilled pork tenderloins--it's colder in California but we can still grill outside!--and my mom made some Potatoes Anna in a cast iron skillet. Both the pork and the potatoes were lovely with the wine's fruit flavors, and they brought out meaty and earthy notes that we didn't taste when we sipped it on its own. I was browsing through tasting notes on CellarTracker and fellow-Tracker drphil described a wine as "more drinkable than memorable." That got me thinking about wines I've had that remained with me--their color, their taste, their smell--long after the bottle hit the trash and I'd moved on to something else. Happily, many of these are drinkable, too. 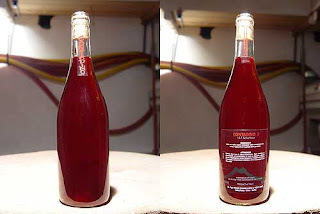 Recently, I had a wine that was both memorable AND drinkable: the 2006 Frank Cornelissen Contadino. I purchased my bottle from Garagiste in January of 2008 for $17.99. Only 25 cases made it into the US, and I can't find it anywhere, so there are no links for you to follow so you can get some of your own. "Our farming philosophy is based on our acceptance of the fact that man will never be able to understand nature's full complexity and interactions. We therefore choose to concentrate on observing and learning the movements of Mother Earth in her various energetic and cosmic passages and prefer to follow her indications as to what to do, instead of deciding ourselves. Consequently this has taken us to avoiding all possible interventions on the land we cultivate, including any treatments, whether chemical, organic, or biodynamic, as these are all a mere reflection of the inability of man to accept nature as she is and will be." "Our products are made without the use of preservatives (i.e. no added sulphur) in order to be able to develop freely to their full potential. This requires transportation and storage below 16°C. When you open a bottle, we suggest not to decant. Rather, take the wine at cellar temperature (12-16°C), pour into Burgundy balloons, nose immediately, and follow its full aromatic progression as it expands, warms up. If a little frizzante upon opening, keep the bottle cool at 14-16°C, and allow to settle for circa 15 minutes. Our wines have only natural - no added - protection against colour degradation, so if left open a few hours, you will see the colour evolve from granite red to volcanic black ash!!! Don't worry - the flavours become more complex with time, as the colour turns." I didn't try this experiment. My wine remained hot pink, as shown in the picture, throughout. What goes into this hot pink, take no prisoners wine? 80% of the juice comes from Nerello Mascalese and the remainder comes from Nerello Cappuccio and other indigenous grapes. So what did it taste like? First off, do you know what an unfiltered, unfined, sediment-laden Nerello Mascalese from Etna is supposed to smell and taste like?? Neither do I. We chilled it down at first from the 58 degree cellar temperature at which it was stored, and then set it in the fridge upright for 12 hours to try to settle the sediment, which was abundant. Then we pulled the cork, uncertain of what to expect. When opened, this wine smelled of the holidays with orange peel, mace, cinnamon, and clove. The flavors were redolent of spicy cranberry and pomegranate. 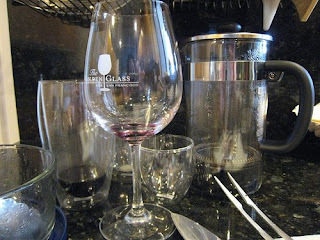 As we drank it, and the wine warmed, the flavors bloomed and became more pronounced. This was best with food--sausage, cheese, and we thought it would be excellent with pizza. Even though it's pink, it's not a "light" wine at 15% alc/vol. It was excellent QPR, however--because it was so memorable and different. What was the last memorable wine that you had? It doesn't have to have been expensive or famous to be memorable. It just had to make you sit up and pay attention. There's more to Tuscany than red wine. In recent years, the region has been producing more whites to keep up with rising demand. While wines made with grapes such as Vermentino and Vernaccia may never eclipse Sangiovese in the popular imagination, that can be a boon for people looking for good value Italian wines. The 2007 Rocca de Montemassi Calasole, for example, is a very good QPR example of the Vermentino grape and what it can do in Tuscany. I received my bottle as a sample, but it seems to be going for between $9 and $12 in the market. Tablas Creek Vineyards in Paso Robles introduced the grape into the US in 1993, and has been prized for its acidity and citrusy crispness. In the Rocca de Montemassi bottling, the grape's zesty profile was clear. There was a lot of acidity in this wine, but there was also abundant fruit which helped to keep the wine in good balance. Aromas of pear, apple, and lemon pith were fresh and lively and they translated into bright, fruit flavors as well. If you've shied away from inexpensive Italian whites in the past because you found them harsh or bitter, you don't have to worry about feeling that way with this bottle. The label suggested that shellfish was the perfect partner for this wine, and we chose to make pasta with crab and shrimp tossed in a golden saffron and cream sauce. The acidity and freshness of the wine worked well with this dish, and provided an excellent counterpoint for the richness of the cream sauce. I think what most impressed about this wine was that it wasn't trying to be something else. It wasn't trying to be oaky Chardonnay, or big and bold. Instead, it was happy to be a tasty, well-made, and well-priced wine that is excellent with food. With all that going for it, who needs anything more? There is some news from Wine Blogging Wednesday. 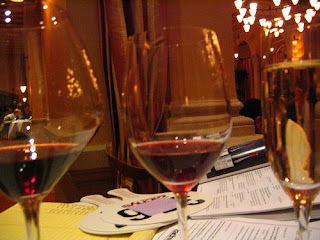 First, #1 Wine Dude Joe Roberts posted his roundup of blog entries from the recent Wine Blogging Wednesday #51. The theme, as you might remember was "baked goods," and a variety of wine bloggers wrote up their experiences with dessert wines including Madeira, Malmsey, Sherry and Port. If you are looking for a perfect holiday treat, I highly recommend checking out the reviews. Second, the theme for Wine Blogging Wednesday #52 has been announced. Tim, the "quaffmaster" from Cheap Wine Ratings, is our host and he's asked us to go out and find a value red wine from Chile. Post your reviews on December 10, and sit back and watch the value recommendations roll in from other bloggers. Want more details? Check out Tim's post. Thanks to Joe for a great theme this month, and I've already got my red wine picked out and set aside for Tim's WBW #52. See you then! I tend to be kind of picky in the Pinot Blanc and Pinot Gris department. There's far too much blah, blech, and boring wine out there in the market that has been made--perhaps overmade would be the best description--with these grapes. This is not one of those Pinot Blancs. This is the kind of Pinot Blanc that rocks your socks off, and makes you wonder why so many people bother making yucky stuff. This wine, made by Michel-Schlumberger in the Dry Creek Valley, is made from Alsatian clones and the grapes are grown in volcanic soils. The microclimate where they are grown is cool, which keeps the grapes from getting too soft and flabby. Nicknamed "La Bise," which is French for the "the kiss," the 2007 Michel-Schlumberger is also one of those wines that qualify as a definite rebuy. It had aromas of pear, white nectarine, and golden delicious apple. The first sips were full of pear, and as you held the wine in your mouth the pear turned more acidic and citrusy. The overall impression was fresh and bright. Then, the aftertaste turned honeyed, with beeswax notes. We had our bottle with a grilled chicken breast topped with pears and apples cooked in a touch of honey and lemon juice, with some Camembert potatoes on the side. Here's the recipe if you want to make this fast meal, courtesy of Rachael Ray. Can you imagine anything more perfect with this wine? So, now you want this wine. Where can you get it? Unfortunately, the winery is sold out. Fortunately, some retailers still have it in stock. I got my bottle at domaine547 in a "Summer Sippers" Blogger Pack put together by fellow wine blogger Wannabe Wino. This pack included 3 bottles for $55, and since one bottle of the wine is in my Thanksgiving picks (the Mauritson Sauvignon Blanc), this Pinot Blanc is a perfect fall wine in my opinion, and the third bottle is a rosé that would be perfect with leftover turkey sandwiches, I am hereby renaming this blogger pack the "Thanksgiving Survival Pack." The folks from domaine547 still seem to have a few of these packs left. Other retailers have the Pinot Blanc, too, and you can find bottles for between $17 and $22. It's excellent QPR wherever you get it. In Los Angeles? Get Twisted on Monday Night! Heads up, Los Angeles residents. Something Twisted is coming our way. On Monday, November 24 (otherwise known as the last day of pre-holiday sanity) our good friends at Twisted Oak are teaming up with the culinary wizards at Bistro 45 for a Twisted Oak dinner. The event begins at 6:00pm and goes until 10:00pm, and the cost is $95 for five impeccably prepared courses with delicious wine accompaniments. Bistro 45 is located at 45 Mentor Avenue in beautiful downtown Pasadena. Reservations are required, so please call 626.795.2478 to reserve your place. There's nothing remotely turkey-ish about the menu, which I include here for salivation purposes. Unfortunately, I'll be in Sonoma (why am I always in the wrong place when Twisted Oak comes to town??) but if I were in LA, nothing would keep me away from this evening of great food and great wine. 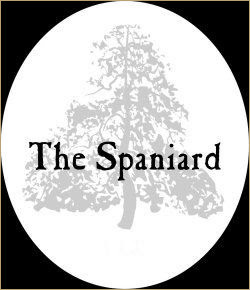 They're even pouring The Spaniard! There's no reason to let wine slip from the joy category to the stress category. Today on Serious Grape, my weekly wine column on Serious Eats, I give hosts and guests a brief guide of what to do and what not to do when it comes to serving and gifting wine. Basically, my advice is simple. If you are a host, keep it low-key. If you are a guest, try not to burden your hosts with sudden changes and demands like showing up with a half case of wine that needs to be chilled and announcing cheerfully that you thought this would go great with dinner. The most important thing to remember? Enjoy yourself, and relax. It's a holiday, remember? Italian red wines come in all shapes and sizes. They come big and bold, and they come in more manageable styles that are a bit shy. They come juicy and ready to drink RIGHT NOW. And they come needing some time in a cool, dark place to settle down and show their best. But when it comes to Italian reds, I find that I like the ones that I've let sit in the cellar. And that goes double for the wines of Tuscany, which I'm focusing on in November and December. As as you can imagine, I'm not really talking about laying down expensive Brunellos and Super Tuscans here. I'm talking about pretty standard stuff, like Vino Nobile di Montepulciano, or even simple Chiantis. Why do I let my Tuscans reds sit a bit longer than I would other wines? Something indescribable seems to happen to Sangiovese--the dominant red wine grape from the region--once it's been in the bottle a bit. It's aromas become what I describe as "heady" in that they go straight to the part of your brain that registers pleasure and you think, "wow, that smells so good." The flavors take on more and more spice, tobacco, and black tea nuances and the fruit steps back into the background. I recently opened a bottle of 2004 Icario Rubi della Pietrose that I bought back in the middle of December 2007 from domaine547. It cost $17.99, and unfortunately they sold out of the wine about 8 months ago. You can still find it for around $20, but most shops are now stocking the 2005 vintage for between $17 and $23. Drinking this wine reminded me of why I like to cellar these bottles--even for the short term of a year or two. I loved the traditional style of this blend of 70% Sangiovese, 20% Teroldego, and 10% Merlot. Thanks to that extra year in the bottle, it had pronounced aromas of violets, tar, and leather. These were followed up with well-developed, soft sour cherry, black tea, and meaty flavors, and there was a nice flowery aftertaste to connect the ending to the violet aromas at the beginning. This was a great bargain, and much better than many a Chianti at this price point. Excellent QPR. A wine like this goes well with almost everything--including roast chicken, burgers and steaks, and of course pasta. We had it with a delicious saffron and sausage sauced pasta that cooks from start to finish in under an hour and which makes the whole house smell delicious. (Plus, you can sip your wine during the 40 minutes the sauce is cooking down.) The aromatic saffon in the sauce was nicely complemented by the floral notes in the wine, and the meaty cherry flavors went well with the sausage and tomatoes. Sometimes we think that only the expensive stuff deserves time in the cellar. I'm going to be pulling some other bottles out of my closets and storage cupboards to see if how a little bit of age benefits other red wines that I bought a while back and have been meaning to drink. How about you? Which wines under $20 do you think benefit most from a year or two in the cellar? In late September, two of England's oldest and most distinguished fine wine operations--Berry Brothers and Rudd and Christie's--reported that they were on track to report record profits. The reason why was in part linked to high-rollers and investors looking for alternative places to park their assets to ride out the ups and downs of the stock markets. Christie's sold almost $3,000,000 in Burgundy and old Claret at auction in the space of a few days during this fall. That's a lot of fine wine. 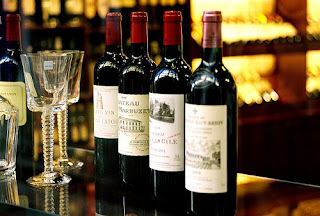 Yesterday, however, Reuters reported that over recent weeks the prices of fine wines have been plunging. Many coveted labels saw 10-20% decreases, and wines that had been the darlings of Russian and Chinese investors were hardest hit. What does this mean for GWU$20 drinkers? I think we might see these "market corrections" filtering down into wine stores near us in the next six months. Nothing will change immediately, but as the days go by and consumers continue to worry about their finances, demand for the pricier wines is going to soften and merchants are going to find themselves with stock on the shelves that they want to move. I'd keep my eyes out for $50+ wines dropping the most, with smaller decreases in the $20-$50 wines and very little difference in price among the wines you and I drink most. However, if you've had your eye on some more expensive bottlings, you might be able to get good deals on them in 2009. Isn't it a good thing that you don't pay too much for wine in the normal course of things? You may actually be able to afford a little splurge come spring. Today is the 51st Wine Blogging Wednesday. Today's theme was picked by the #1 Wine Dude Joe Roberts. He asked us to drink something "baked." What Joe meant by this was he wanted us to pick a wine that had been deliberately heated and oxidized (otherwise known as Madeirized after the classic Madeira wines from Portugal). Wisely, Joe realized that these might be hard to locate. So he gave us the option of tasting Port or Sherry instead. Because life is fairly nuts right now with relatives stopping by and the semester winding to a close, I decided to write today about rare sherries. I had the opportunity to taste some when I was a guest of Osborne in May, and one of the reasons I wanted to highlight them today is because they are not only great wines, they represent excellent QPR if you are looking for a single dessert wine that you can have on hand during the holidays and serve over several weeks without them going off or tasting stale. The reason why this is possible is because they have been fortified with Brandy. This means that if you stopper them up and keep them in a cool dark place you can drink them over weeks, and in some cases months. It also means that they pack a serious punch, so tiny glasses are in order. Quite simply, this is the best wine I have ever tasted. It opened to a thick blackish brown. At first, I tasted coffee, dark chocolate, and burnt sugar. As it opened, there was an increasing lift of candied lemon and orange peel, some molasses, and even coconut oil. Every time you took a sip, it tasted different--but every sip was delicious. 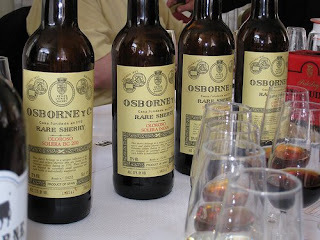 This sherry was drawn from the famous “ABC” solera. The “A” barrels were sold to the Tsar of Russia, leaving 200 “BC” barrels. If you can get your hands on some (lucky you!) you will smell aromas and taste flavors of citrus, toffee, and a little black tea and a brandied cherry aftertaste. This wine was complex, fine, and unforgettable. The wine in this bottling is an average of 35-50 years old. This wine was all about caramel aromas and flavors. I tasted not only caramels but sea salt, toast, and burnt sugar. Another fantastic wine. A stunning sweet wine, with candied orange and toffee aromas. The flavors were a bit less sweet than the aromas suggested, turning to orange marmalade and brown sugar. Dessert in a glass. A budget-friendly and more widely available version of the rare wine listed first, this is nothing like what you would expect. It is coffee-colored, with molasses and cherry cola aromas and flavors. It's so syrupy that I believe the people who told me that they serve it over vanilla ice cream in place of chocolate syrup. Sounds like a perfect dessert to me! For those of you who think I've lost my mind to label a $100 wine "excellent QPR," fear not. I haven't lost my mind. For $100, you get the perfect ending to every holiday meal from late November all the way through late December. And if you are looking for a special gift for a wine-loving friend? This is it. Those of you on tighter budgets (like me) can get their hands on that 1827 Sweet Sherry and a pint of Häagen-Dazs and check "desserts" off your to-do list. Thanks to Joe for a great theme, and one that brought back many happy memories of my time in Spain this spring. As usual, I'll have the roundup and the theme for next month's WBW for you when they're available. 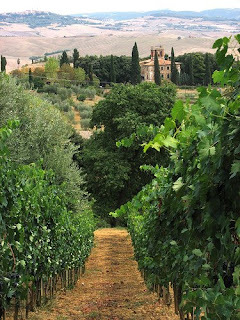 But there's more to Tuscan wine than just Chianti. For the last two months of 2008 I'll be focusing on the wines from this region. Why two months? There's just too much good wine to spend only one month exploring. Great wine demands great food, and as anyone who has been to Tuscany knows--these people can cook. Whether you're looking for a simple pasta dish with sauce made from butter and sage, a hearty soup thickened with bread and beans, grilled beef cooked to perfection as they do in Florence, or the small cookies made for dunking in your coffee or wine called cantucci, you can find a dish to suit you from among the region's traditional recipes. These dishes are perfect for winter temperatures and feeding large crowds at the holidays. Many of them are also either quick to prepare, or cook at low temperatures in the pot or oven so they are ideal for entertaining. I'll be back periodically over the next several weeks with tasting notes and food pairings for Tuscan wines. Yes, Chianti will be among them. So, too, will be Tuscan whites and a wine made with indigenous varieties. 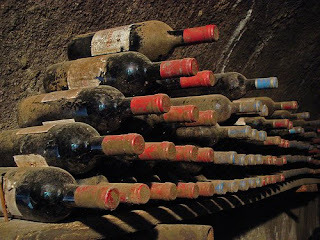 And the Tuscan wine theme will spill over into Serious Grape on Fridays as well, where I'll talk about Super Tuscans and compare the different levels of Chianti from the regular bottles to Chianti Classico and reserve wines. 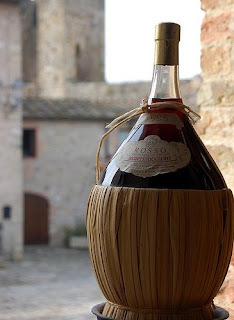 As always, I hope you will join in and share your Tuscan wine recommendations and experiences. After daylight savings ends, my thoughts turn increasingly to red wine. Once I set the clocks back, it gets dark faster than I expect. I start cooking dinner. The heat comes on. I wonder "is there a red wine in the house?" And then there are the winter foods that start sounding just perfect right about now: beef stew, chicken chile, and soups made with late fall vegetables. If this sounds like you right now, I've got a red that will knock your socks off and have you praising the wine gods. It's from Chile, which (like Argentina) produces some excellent value wines. This one is no exception, and it's made by Veramonte, the winery that also makes exceptionally good value Sauvignon Blancs. The 2005 Veramonte Primus represents the best of what Chile has to offer to people seeking great value and great taste. This excellent QPR red wine drinks like a wine that's two or three times the cost. It's big, bold,a n balanced. Made from a mixture of 51% Merlot, 32% Cabernet Sauvignon, and 17% Carmenere, the first thing that will strike you if you get your own bottle is the beautiful, dark plum color. Then you will be bowled over by heady aromas of plum, blackberry, spice, and plum blossom. I loved the way that the promise of the aromas was delivered in the flavors, which echoed the smells beautifully--although the plummy notes did take center stage. The wine had rich, satiny texture that seemed more opulent than a wine with an under $20 pricetag deserved--but I'm certainly not complaining. Well-integrated tannins and a taste that reminded me of the spicy smell of my mom's cedar chest rounded out this nicely made, well-balanced wine. It's drinking very well now, but if you find some for a good price I think you might want to buy a couple of bottles and put them away for drinking between now and the end of 2009. I received my bottle as a sample, but you should be able to find bottles of this wine all over the US for between $14 and $26. And they bottled some in 375 ml bottles, as well, which are retailing for $7-$14. Enjoy the change in seasons. Get some red wine, snuggle with the one you love, and catch up on your movies and TV now that the election is over. Long winter nights can be a good thing, after all. Today on Serious Grape: Waving Goodbye to Expensive Wine? Essentially, they said that expensive wine was so five minutes ago. And then they made a surprising recommendation for this year's "holiday gift pick." It's not expensive. It's not hard to get. But it will leave you wondering if America's expensive wine habits are on the brink of changing--for the better. What do I think? For my thoughts on their story, click over to Serious Grape, my weekly column on the excellent food site Serious Eats, and get all the details. Every year, new visitors come to this site in search of a delicious, affordable, and available bottle of wine to pair with their holiday meal. Old friends visit, too, sometimes to suggest their own picks for the year and sometimes to take issue with something I've picked. It doesn't matter why you're here--I'm glad to see you, and hope that what follows will be helpful to you as you plan for the big dinner. If you are looking for general advice on Thanksgiving wine and hospitality, I'd encourage you to check out this article I wrote a few years ago on issues facing the host/hostess and the guests. If you are wondering what to drink with your meal, and with leftovers, you're in the right place. Here are my picks for 2008--all of which offer great taste and great value in an easy-to-find package. Clicking on the wine's name will take you to the winery's site where you can find more information about the wine and its makers. Many of the wines I picked this year are made with organic grapes, are farmed with sustainability in mind, and/or are made by families with great stories of how they got in the business of grape-growing and wine-making. Clicking on the range of prices will take you to a list of retailers who stock the wine. Maybe one will be near you. What's a holiday dinner without some bubbles? These two picks are great for toasts, appetizers, brunch the morning after, or drinking with the main meal. Sparkling wine has great acidity, which means it pairs with most foods and there's no doubt that sparklers are festive. NV Roederer Estate Brut ($15-$20). For my money, this is the best value around in domestic sparkling wine. Expect tiny bubbles, aromas of brioche and Meyer lemon, and flavors of apples, toast, and nuts. Just as good with food as without. NV Domaine Allimant-Laugner Cremant d'Alsace Rose ($16-$19). If you're looking for a pink sparkler, try this one. It' made with 100% Pinot Noir and has knockout fresh strawberry aromas with light berry, mineral, and citrus flavors. Like the Roederer Brut, this wine is as good with food as it is without. Rosé wines are perfect for turkey and all the side-dishes that make us groan afterwards. If you feel that rosé wines are too "casual" for a fancy dinner, don't forget the leftovers. Wouldn't a cool rosé be perfect on Saturday with your turkey sandwich? These rosé wines are dry, not sweet, and very refreshing. 2007 Fort Ross Pinot Noir Rosé ($12-$16). Fort Ross makes some of the best Pinot Noir out there, and this is the rosé version of their wine. It's a beautiful color, with raspberry and strawberry aromas and flavors and a delicious stony note that keeps it complex and interesting. 2006 Jeriko Estate Rosé ($9-$13). This is a round and full rosé, with aromas and flavors of strawberries and minerals. If you don't like watermelon notes in your wine, you'll like this. Made with organic grapes. I'm a fan of white wines for Thanksgiving. I like their freshness, and the way that they pair so beautifully with stuffing, gravy, turkey, cranberries, Waldorf salad--you name it, these whites will go with it. They're versatile and flavorful, but won't overwhelm the food. 2006 Brooks Riesling ($14-$19). This is not a sweet wine. It's dry in style, with aromas of lime, apple, Meyer lemon, petrol, and stone. You will taste lime, slate, currants, and a touch of honey which makes it ideal if you are serving smoked turkey or a turkey made with lots of spices. Exceptionally complex for the price. 2006 Adelsheim Pinot Gris ($14-$20). Delicious aromas of peach, honey, and a kiss of caramelized sugar, but there's lots of bright acidity to keep the peach and apple flavors in balance. This aromatic wine would be perfect if you are serving sausage stuffing, and while it may give a sweet impression it finishes dry. 2006 Mauritson Sauvignon Blanc ($13-$17). One of the best domestic Sauvignon Blancs I've had in a long time, made with no oak and no assertive aromas or flavors. Warm melon, Meyer lemon, and clementine aromas and flavors accompany fresh, grassy notes. 2007 Clif Bar Family Winery The Climber White ($13-$15). This white blend has a core of Sauvignon Blanc with the addition of Pinot Blanc (12%), Chenin Blanc (4%) and Muscat (3%). The result is a wine with good acidity but an impression of softness. Aromas of pink grapefruit and nectarine, and flavors of Meyer lemon, nectarine, and peach. 2007 Cupcake Vineyards Chardonnay ($11-$13; also available in CostPlus World Markets). A new label to me, this wine had clean and fresh apple and citrus aromas and flavors. There is a lovely creaminess to this wine, and a touch of mild oakiness. Very much like a white wine from Burgundy at a fraction of the price. There are a lot of people out there recommending Zinfandel for Thanksgiving. Unless you are very, very careful you may overwhelm your food with a jammy, high-alcohol wine. That's true for many other red wines, too. If you are serving turkey and lots of different sweet and savory dishes, red wines may not be your best bet. However, the ones below will not overwhelm your food--and the flavors may be just right for you if you like dark meat, or are serving something smoked or (gasp!) 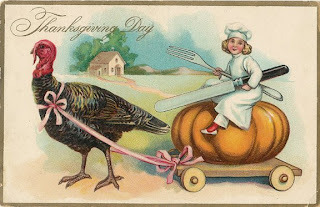 not serving turkey at all. 2006 Domaine du Vissoux/Pierre-Marie Chermette Vieilles Vignes Cuvee Traditionelle ($12-$16). Gamay is a low-alcohol, high-acid grape that produces fresh, zesty reds. You will smell cherries, berries and some chalk in this wine, and the flavors are pure, juicy Bing cherry with an earthy undertow and some mineral notes. 2006 MacMurray Ranch Pinot Noir Sonoma Coast ($12-$27) A great bargain in Pinot Noirs, this wine has high-toned cherry and raspberry fruit aromas, with a touch of allspice. There are flavors of cherry, raspberry, allspice, and fresh-baked cobbler with a terrific, silky texture. 2004 Quivira Zinfandel Dry Creek Valley ($18-$20). If you must, this is the Zinfandel to get. With aromas of black cherry, allspice, and cedar, and flavors of cherry, baker's chocolate, and pepper it has beautiful acidity and is very food friendly. This Zin feels and tastes more old fashioned and restrained--just the way I like them. The 2005 is also in the market, and while I haven't tasted it, ordinary drinkers on CellarTracker! seem to give it thumbs up, too. 2004 Bodegas Montecillo Rioja Crianza ($7-$12). If you think I'm nuts to suggest Tempranillo with turkey--trust me. I'm not. This is one of the great bargain reds, from Osborne's Bodegas Montecillo. There are aromas of roasted herbs and spicy berries, and nice, high-toned red fruit. Beautiful acidity and some dusty tannins make for a long, juicy aftertaste. Whatever you serve on Thanksgiving, remember to relax and enjoy your friends and family. That's what the holiday is really all about! Disclosure: The Adelsheim, MacMurray Ranch, and Clif Bar Family Winery bottlings were samples; I tasted both the Cupcake and Osborne wines at tastings. All other bottles were purchased by me over the last eleven months in a variety of brick-and-mortar and online stores. Today we have an Election Day Special: a roundup of all the reviews of Tyler Colman's book Wine Politics: How Governments, Environmentalists, Mobsters and Critics Influence the Wines We Drink. Our reviews mark the 5th edition of the Wine Book Club, and the last meeting for 2008--because no one is going to post a review between Christmas and New Year's Eve, are they? So it's all the more fitting that we mark the end of 2008 and the end of the Bush administration with a book dedicated to helping us understand the complicated political journey that wine takes from grape to glass. We had some Wine Book Club veterans and some first-timers, too. So here is a roundup of some of their thoughts. First time Wine Book Club participant Jim Eastman from the blog Music and Wine praised Colman's accessible style, noting that "it managed to keep me engaged without fail through the whole book. Eastman's main criticism of the book was he felt it was a little too short to cover such a broad-ranging topic in so few pages. Jim wanted more--"A little extra depth and perspective" was the way he put it--which I can tell you from personal experience is the kind of criticism an author can live with. When a reader wants more, that's a good thing. Another first time WBC participant, Frank Morgan from the blog Drink What YOU Like, described the book as "academic and thorough." Frank found the Colman's coverage of the topic "fascinating," and while he did sometimes get "lost in the details a couple of times," the book changed the way he "looked at a glass of wine." My favorite line in Frank's review was saved for the end: "My major takeaway from Wine Politics is an increased sense of appreciation for the small wine guy and the crap they go through just to produce and sell wine to me!" Christianne from the blog Christianne Uncorked (also a first time WBC participant) found the book was "PACKED with information about wine, history, and politics," but she sometimes found that the organization left her feeling a bit "distracted." She particularly would have liked more of Colman's informal writing and less of the formal academic style. Taste B from Smells Like Grape added her two cents on the book, saying that it was a "breath of fresh air" given the other books she's reading for an academic course at the moment. 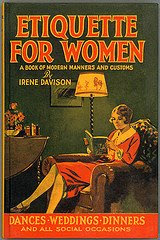 What she most enjoyed about the book was that is wasn't just a rehash of things she already knew about wine. Instead, Colman "weaves together many observable and oft discussed conditions in the wine industry with little-known catalysts to form some pretty stark revelations." Wine Book Club veteran Kori from the Wine Peeps made it clear that this was not the book for you if you were looking for "basic wine information or for a recommendation on what bottle of wine to drink tonight." However, "a lot of information is packed into this relatively short 148-page read," and Kori found the message thought provoking. "If you really want to know why you can’t buy a bottle of wine you fell in love with on a recent trip to California and have it shipped to your home," Kori recommends you pick up this book and learn why. Richard the Passionate Foodie, another WBC veteran, recommends this well-written book to "those who are more passionate about wine, who enjoy learning about more than grape varieties and wine regions." While it may not appeal to the novice, Richard feels that wine lovers will appreciateColman's "measured and neutral stance" on his more controversial topics, where he presents arguments for both sides of troubling questions. Thanks to Tyler Colman, our own Dr. Vino, for writing this excellent book which really did convince me that any drinkable wine produced in this country is a miracle, given the laws that stand in the way of winemakers and consumers. And thanks to all the participants this month. The next edition of the book club will be announced in early December, and reviews will be due in late January--so stay tuned for another year of the Wine Book Club. Ribolla Gialla is one of those varieties that most people have never heard of, never mind tasted. It's been grown in the Friuli region of Italy since the 13th century, and experts believe that it is related to the red wine grape Schioppettino. Ribolla Gialla isn't grown in very many places in Europe, and it's grown in even fewer places here in the US. You can count the US vineyards where Ribolla Gialla is planted on the index finger of one hand. 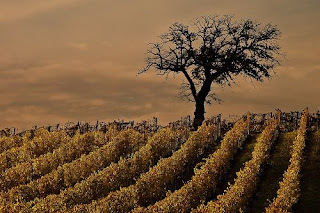 Only one vineyard grows Ribolla Gialla and it's Vare Vineyards in the Napa Valley. George and Elsa Vare fell in love with Northern Italian and Slovenian grapes and wine and decided to dedicate their winemaking efforts to seeing how the varieties would fare over on this side of the world. In addition to Ribolla Gialla the Vares grow Pinot Blanc, Pinot Grigio, Tocai Friulano, and Sauvignon Blanc. They produce limited quantities of wine from small yields, and bottle it exclusively in 500ml and 1.5L bottles. And the wine is good--good enough that the famous French Laundry bought nearly all of their 2004 vintage for sale in the restaurant. The 2005 Ribolla Gialla is sold out at the winery--but you can still get your hands on some of it if you are interested in trying it from Wine Q. (sample; $24.99/500ml, WineQ) This good QPR wine was deliciously different. When it was cold from the fridge I could have sworn it was very fresh Fino Sherry because of its dry nutty and citrus aromas and flavors. As it warmed up in the glass, however, the wine became heavier in the mouth, more acidic, and full of lemon oil aromas and flavors. There was a sensation of creaminess as well, which made it reminiscent of tangy lemon curd. This wine is made for shellfish and fish dishes, although it would also be a great match for appetizers or tapas. Don't be afraid to try a new variety if you get the chance. You could be in for a deliciously different surprise.